This post came from an idea one of my friends gave me this afternoon. So here’s a day in my life……..
Today was Monday, and a day off from my usual work at Oak Tasmania. But there were all the usual jobs and dinner to prepare early because I also had a 1500 word essay to upload to my tutor for my current creative writing unit, Writing For Children and Young Adults. 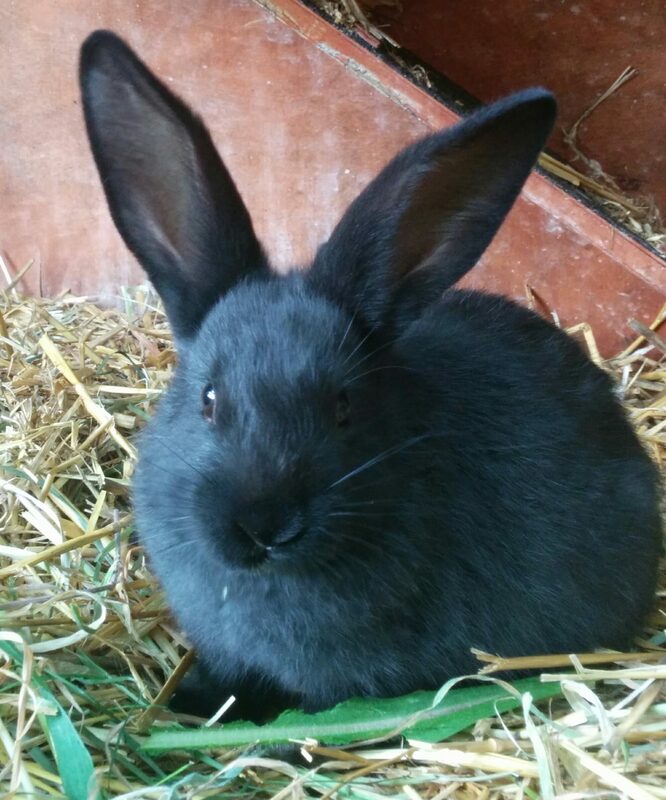 I’m Cute – But I Will Not Share My Chicory! Once everyone was fed, water checked, pats and cuddles given, I watered the greenhouse and picked veggies for tonight’s dinner, a slow cooked beef and veg curry. 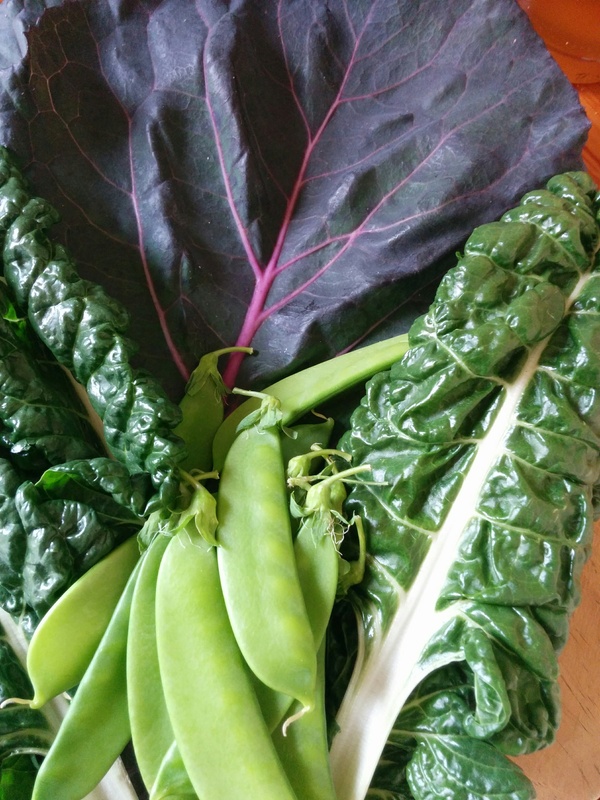 This involved picking celery, purple cabbage leaves, silverbeet and snow peas and (as always) more weeding around the plants and cutting back flower heads – all of which went straight to the ravenous chickens. Finally, I managed to get back in the house and make some breakfast for me! This morning I felt like something savory on my toast. So, before I went to feed the animals I went searching through the freezer. I had the last of my current loaf of sourdough toasted with a very decadent and different kind of topping. I was quite thrilled to find a tub of basil pesto (sans pine nuts) from the autumn harvest tucked away. By the time I got back to the kitchen it was defrosted enough to spread thinly on my toast. 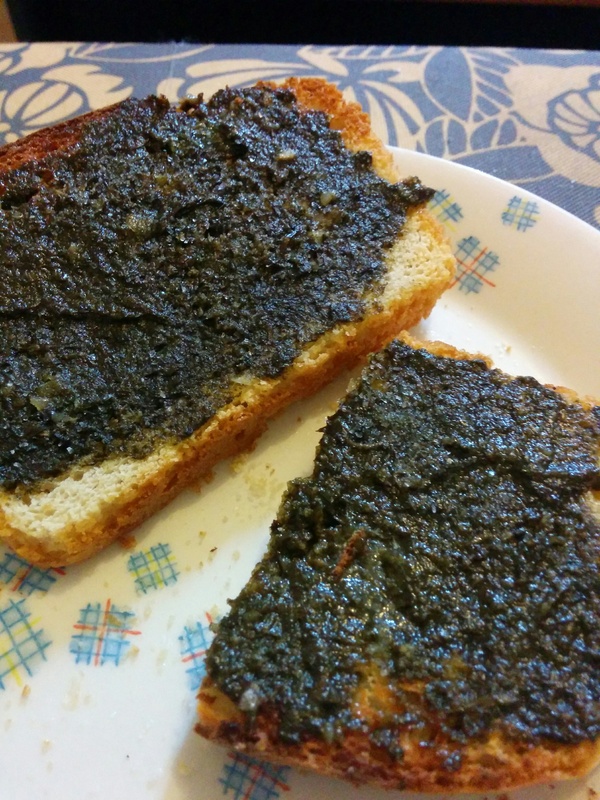 It was intense, both garlic and basil flavours came shining through and utterly delicious! 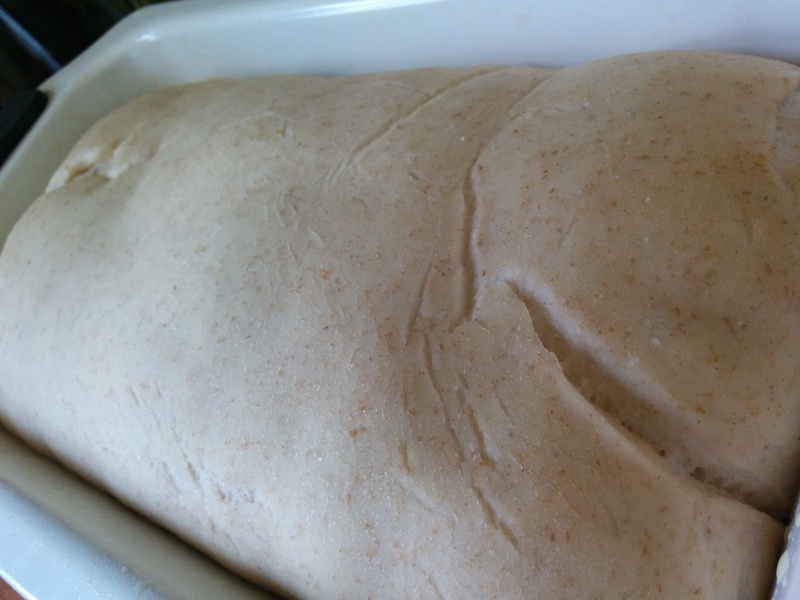 Time then to knock a loaf of sourdough together and put dinner in the slow cooker. I replaced some of the bread flour with rye this time, which makes a nutty, slightly denser loaf. Wee Beastie the sourdough plant is really powering at the moment, so this is what it looked like after a few hours of proving under a damp tea towel in the kitchen. Next on my list was getting dinner prepped and in the slow cooker. 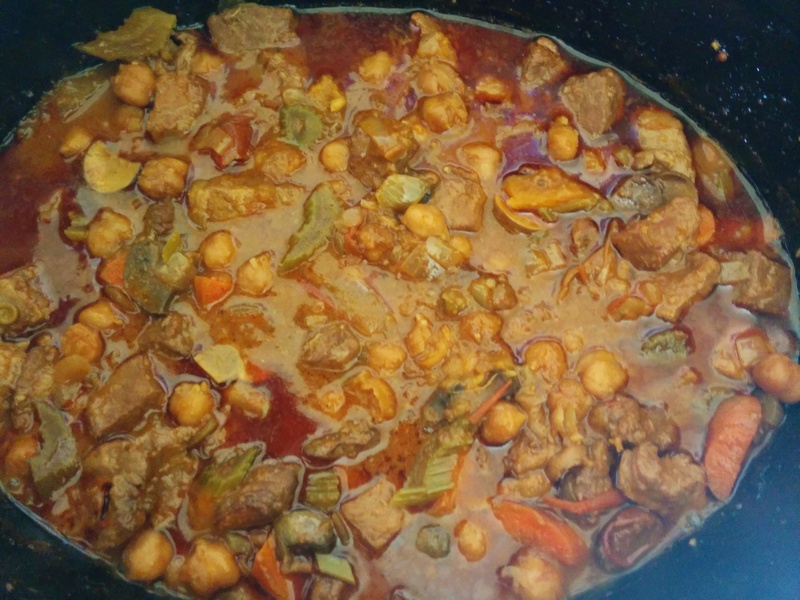 About 500g diced stewing steak and a couple of diced onions got seared in ghee and tossed into the pot with a jar of home-made tomato based chilli sauce from a couple of seasons ago and a tub of cooked chick peas. Lots of spices, herbs, red wine, plus celery, carrot, broad beans and mushrooms (thanks to the garden again!). All thrown in the slow cooker, switched on and forgotten about until later in the afternoon. Then it was down to the nitty gritty – wrangling all my notes into a cohesive discussion about what I consider to be “an area of childhood that hasn’t been satisfactorily written about”. It’s a potentially huge subject and I only had 1500 words to work with. 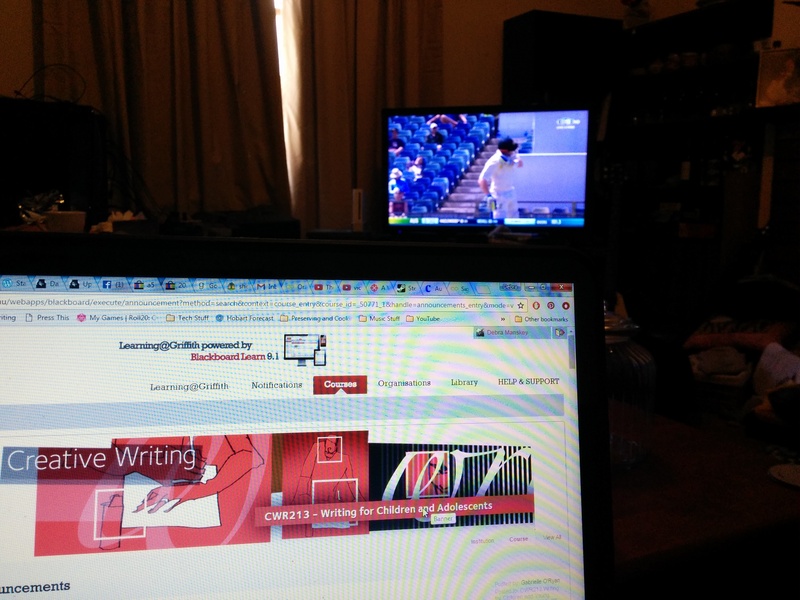 Chained to my laptop for the next few hours, I referenced, edited and pulled it all together – with Brahms in my headphones and the first cricket test against South Africa on the television. It was a bit mad for a few hours, I remember getting up and making a cup of tea at one point but apparently didn’t drink it, and some kind soul put food in front of me at lunchtime. But I managed to get it all done, correctly formatted and uploaded to my tutor who lives in a different time zone. 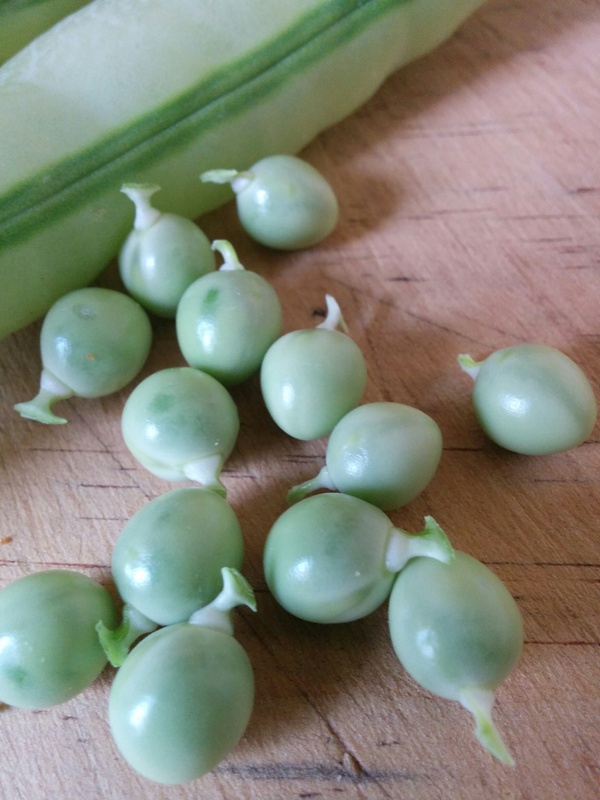 I also picked some snow peas that I’d missed that were way too far gone for the table but rather than waste them, I shelled them and set them to dry on my seed shelf. They’ll form the basis of the next crop and/or traded with other fellow gardeners. Finally, I prepared the veggies to finish off the curry, silverbeet, purple cabbage and snow peas while some nice person cooked rice. And now, dinner has been devoured (delicious!) and there’s plenty of leftovers to refill the freezer. I’m currently crashed on the couch with my laptop watching my favourite current affairs show, The Feed on SBS and once I publish this I might get back to reading my new book, Jennifer Livett’s Wild Island. Or maybe think some more about that song I’m starting to write. Or perhaps do a little work on my final assignment for this unit, a creative piece of writing and exegesis. Or maybe go to bed early.